According to one recent study, the total number of food carts and similar vendors in New York City is expected to hit about 8,000 by as soon as 2023 — or roughly double their current numbers. If you’ve ever been to the Big Apple, you’re no doubt already aware of just how commonplace these vendors are — indeed, it can often feel like they’re on literally every street corner. A new rule recently proposed by the Health Department in the city wants to make these vendors easier to find… but not necessarily in the way, you might think. The department argues that it’s only able to locate about 80% of all licensed food carts at any given time, making it difficult to make sure that they’re employing all best practices and serving the safest food possible. Moving forward, the department wants to install GPS trackers on food carts and trucks to assist in this goal. The near-universal opposition from the vendors themselves shows that this isn’t necessarily going to be as easy as people originally thought. Much of the opposition comes from an advocacy group called the Street Vendor Project, who aims to look out for the rights of vendors in the city — a group that is mostly composed of immigrants, for the record. To be clear, they’re not against the idea of food trucks posting health letter grades or having more accountability with the city. But at a time when ICE is making its presence known again and again on a daily basis, those immigrants are naturally concerned about who will be collecting this data and what it will be used for moving forward. Many of these vendors are understandably concerned that they — or their family members — could be deported as a direct result of the location-based data that is being collected. ICE has made headlines over the last few years for showing up unannounced in courtrooms, at schools, at Army bases and even during green card hearings. 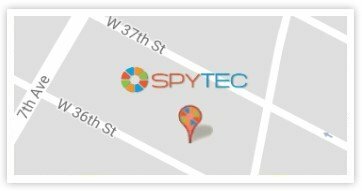 In a statement made to the New York Post, the Department of Health said that it “would not share location information unless it was legally required to do so.” The problem is that it can be very easily compelled to do so. The Street Vendor Project has already said that if this proposed bill passes, they will very carefully consider suing the city. They argue that the chances are high this is an unconstitutional breach of the fourth amendment rights of a massive group of people and in a certain light is very similar to warrantless surveillance. The group has also made a number of recommendations for alternative tracking methods during their search for a compromise. One suggestion even included vendors providing a phone number to the Health Department for use in largely the same capacity. It’s also important to note that food cart vendors are already inspected at a rate that is significantly higher than traditional restaurants. Some vendors are even inspected as frequently as once a month. Still, the Department of Health returns to that “80%” number and the impact on its grading program. They say that if they’re not able to locate 100% of vendors at any given moment, the grades they’re giving out will be essentially meaningless. Some vendors won’t have them posted at all and there’s also no way to make sure someone is posting the most recent grade they’ve received. Again, this is all still in the proposal stage so it remains to be seen whether or not the GPS trackers will actually be implemented moving forward. One thing is certain, however: This is a situation that a lot of privacy advocates will be paying close attention to moving forward. It will also be interesting to see how other major cities around the country react, especially ones that have a significant street food vendor population like New York City.